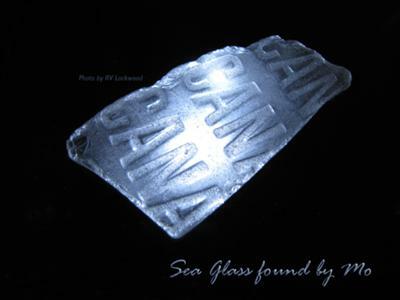 I have combed the beaches here for 7 years now and have not found one piece of glass, new or old, even after a storm. There just isn't enough wave action. Found a nice piece of Brown looked like a beer bottle wet then dried to a beautiful frosted amber. 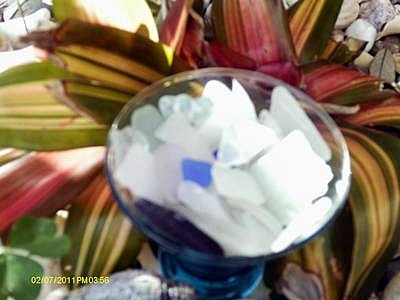 I didn't know what it was but added it to my shells when someone asked about did I find sea glass I thought about that piece of glass I found dug it out from the shells and WOW. I wear it around my neck now. It's beautiful. 5 pieces on a bad day- 1 hour time. Grade is all over- very sharp edges to nice rounded sides and frosted wonderfully. 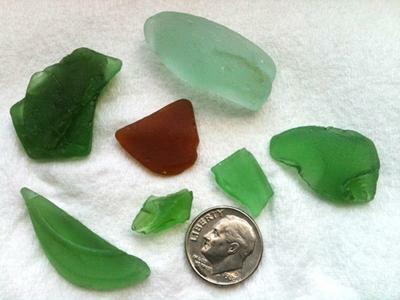 1 - "Sea Glass found on beach in DWPSP" What is DWPSP? 2 - "I have found so much glass in the last 3 weeks." 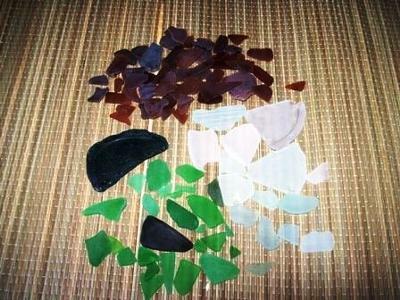 Is this sea glass or shards? Is it craft grade or jewelry grade? 3. "have found a decent amount." How much is "a decent amount? 5 pieces of craft grade a day? An hour? 4. "small cranberry red color!" This is a good find anywhere and one to get excited about. 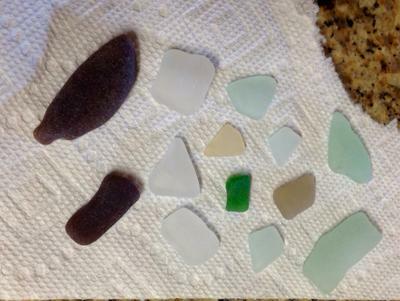 I have found so much glass in the last 3 weeks. Nothing to impressive like some of the posts I have read where they found 5 pounds or whatever in 1 trip. 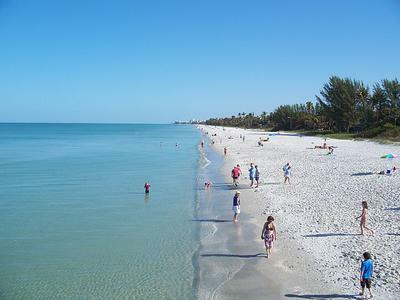 But my boyfriend and I have walked to beach almost everyday for the last 3 weeks- weather permitted and have found a decent amount. 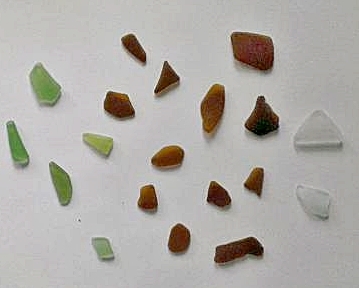 Different amber shades, different green shades, he found a frosted clear piece (of decent size) and today we found more- even found what appears to be a mexican made onyx chess piece. Oh and we found a small cranberry red color!